The above feature came in Programme Plus, a magazine insert that several clubs carried in their matchday programme in the early 1980s. 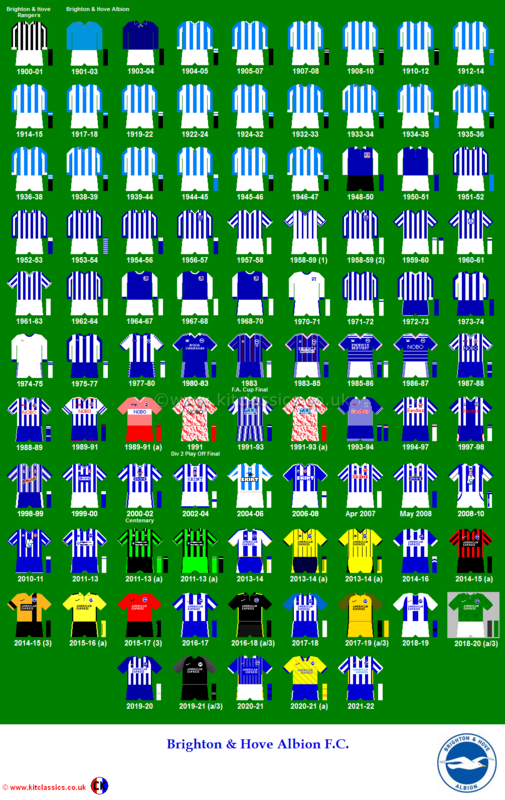 While Brighton did not include it in its programme, there were occasional pieces that related to the club. 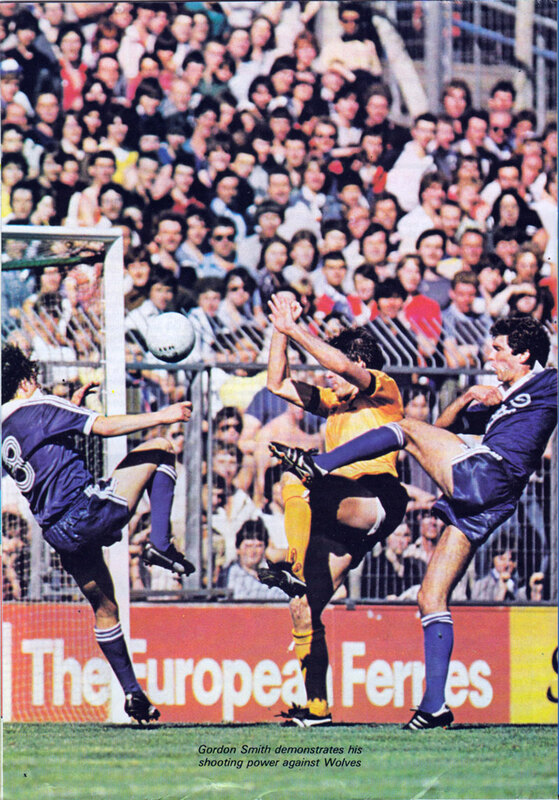 Here’s an interview with Gordon Smith, including a wonderful photo of the match against Wolves on the opening day of the 1980/81 season. Just look at the faces of the crowd! 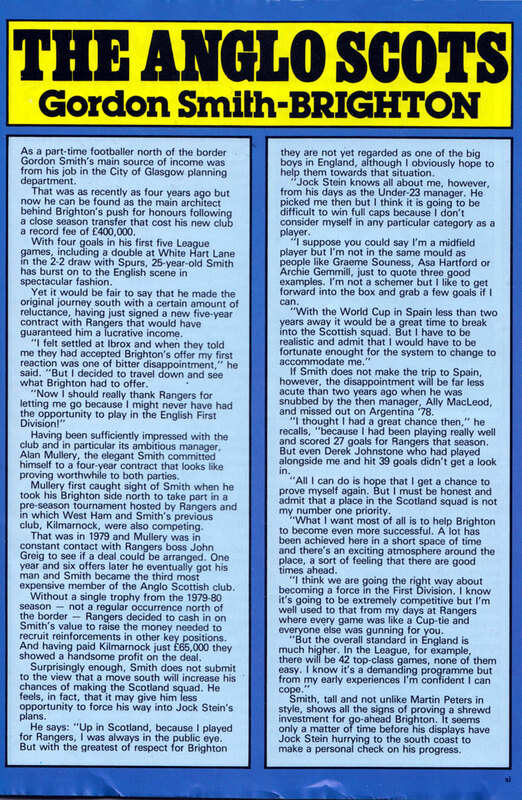 I felt settled at Ibrox and when they told me they had accepted Brighton’s offer my first reaction was one of bitter disappointment, he said. “But I decided to travel down and see what Brighton had to offer. Now I should really thank Rangers for letting me go because I might never have had the opportunity to play in the English First Division! It’s the kind of respectful attitude that meant Smith is not hated by Albion fans despite not sticking the famous chance away two seasons later.